Total time: 3 hours, 25 minutes. 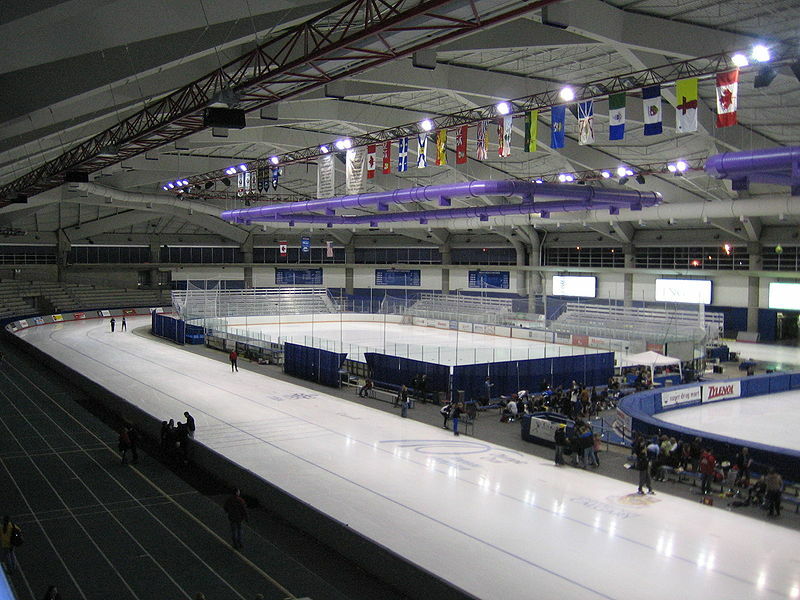 Oval in Calgary, as well as dress-up, dress down time, usually about 15 minutes each way. 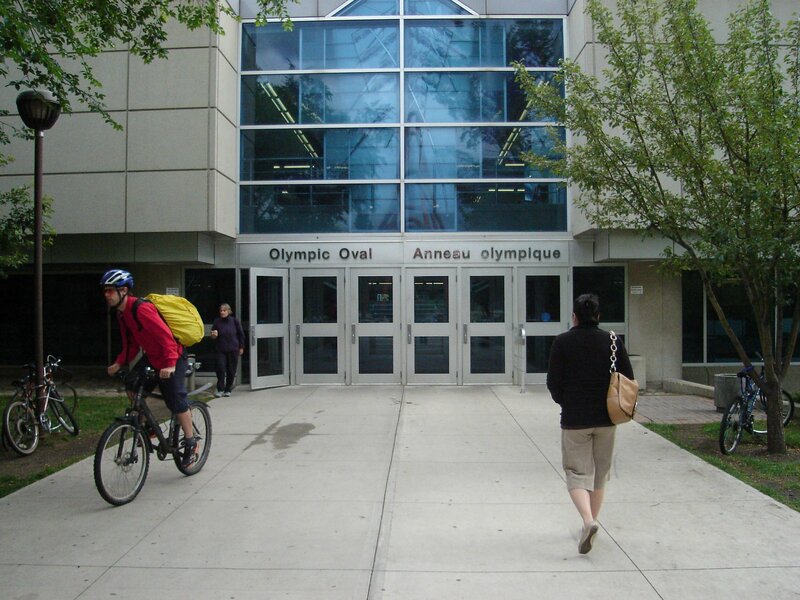 It was truly the dream place to live and train at, and a shame that because of the global financial situation, the University of Calgary cut the women’s hockey funding this season. It symbolizes the end of an era, started by Shannon Miller, former National/Olympic team coach in 1995 and now at UMD, arguably the most successful women’s hockey coach ever. Her philosophy in starting the program was, ‘come here, and be the best you can be.’ She was also responsible for getting me to play college hockey in the US. Imagine now doing this for 5-6 days a week, 8 months a year. Then imagine fitting in a day or two at the mountains for snowboarding on the weekends, if no games were on. In the remainder 4 months, you get one month off then its into summer training, consisting of long aerobic sessions such as 2 hour+ bike rides, plyometrics, weight/resistance training. I loved it. Between 1995-1999, that was what I got to do, in Calgary, Canada. I usually spent the off-seasons tagging along with speedskaters, who stuck around during the summer. Now as an Aussie, the Canuckers skated circles around me. That didn’t matter, I learnt to push and go beyond what you mentally and physically think you are capable of: life lessons which stuck. Not everyone of course would go crazy for this lifestyle, but everyone I knew back then did, and everyone I knew back then still remembers those days warmly. Being an athlete means being disciplined. It means committing yourself to a goal that may elude you at any second. Out of the maybe hundred or so girls who came through the program in Calgary, there are but a handful still on the national/Olympic team. I met like minded folks from everywhere – many like me, coming from the Southern Hemisphere chasing a winter dream. No support from our countries, no sponsors. Huge personal sacrifices – live away from your family, sacrifice relationships or go long distance, be away from your friends, delay school or juggle with it, juggle work also. As an Australian, I knew there was no way I was going to get to the games based on qualification/tournaments. Canada and the US were just light years ahead. So why did I do it? For the same reason the crazy Aussie/Kiwi/South African speed skaters, the Jamaican bob-sledders (yes they do exist and yes they do say ya’mon) do it – because we love it we’re chasing a dream to be the best of what we choose to do, and have fun along the way. I’m cheering for Canada because of all the light and possibility it gave to my dreams. I’m still competing, in different sports and in different ways, but some still continue that same regimen, 11 years on. Here’s one, below, Captain of Team Canada, who took me to see my first Calgary-Detroit game, who kept on going and continues to inspire. Everyone needs heroes. Sports psychologist Cal Botterill, whose daughter Jennifer continues to compete on Team Canada led me to “Way of the Peaceful Warrior“, which spurred me onto so much more – and its a book that has literally travelled with friends all over the world. It was a different nomadic existence, and one I miss and would love to relive in some capacity, though much has changed and many have moved on. Such are the journey’s of life. So, GO CANADA and all the athletes who have ever trained or had anything to do with those Calgary Oval days! (and esp. 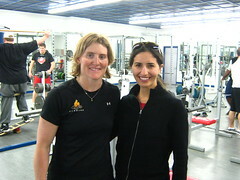 Ms. Wickenheiser here, who proved that Superwomen do indeed exist).